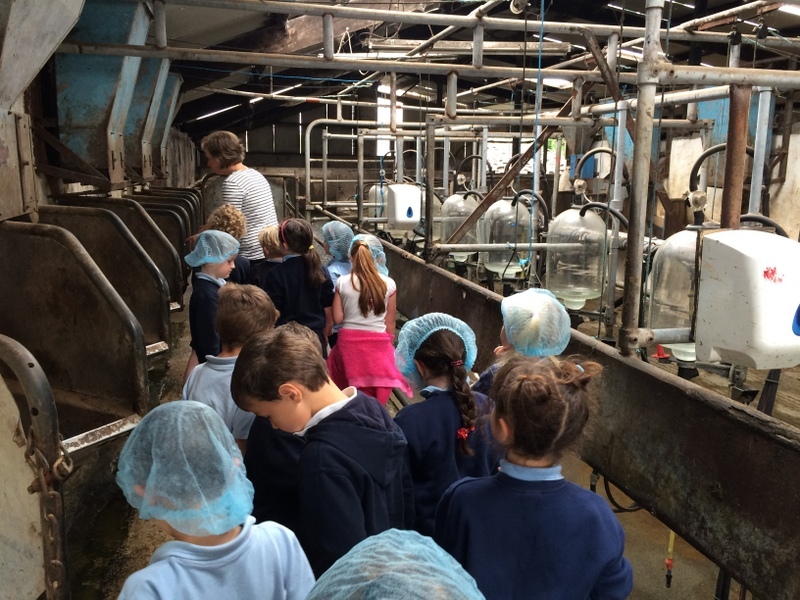 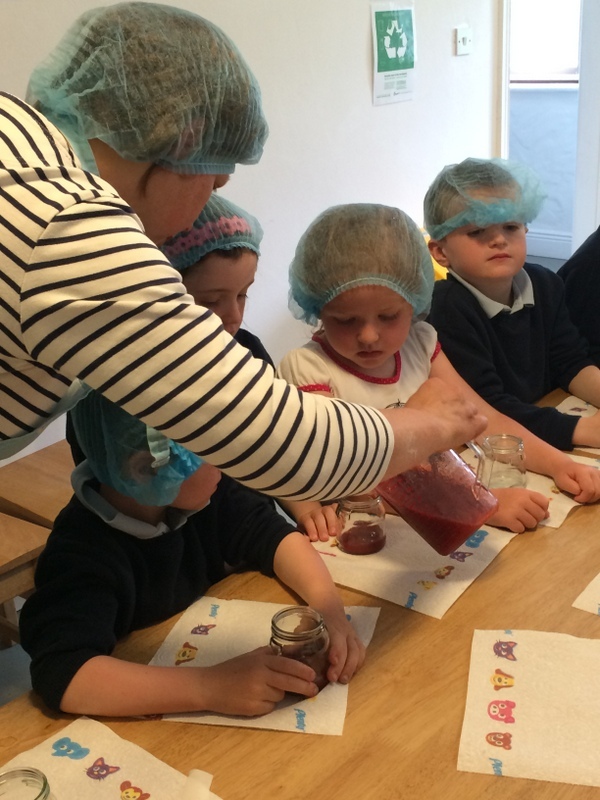 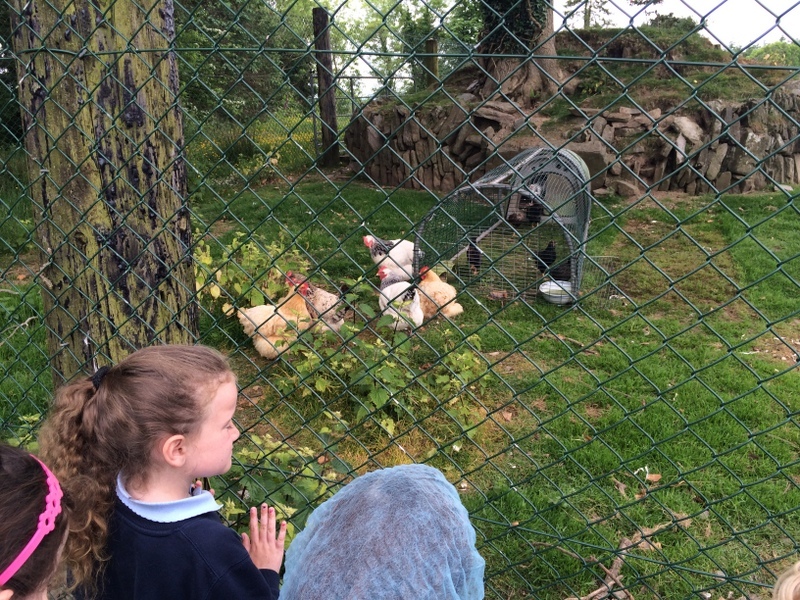 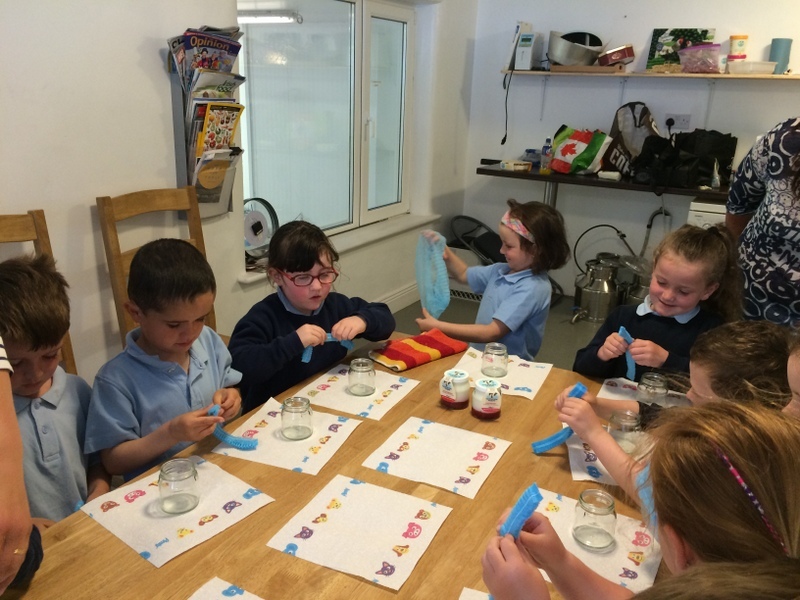 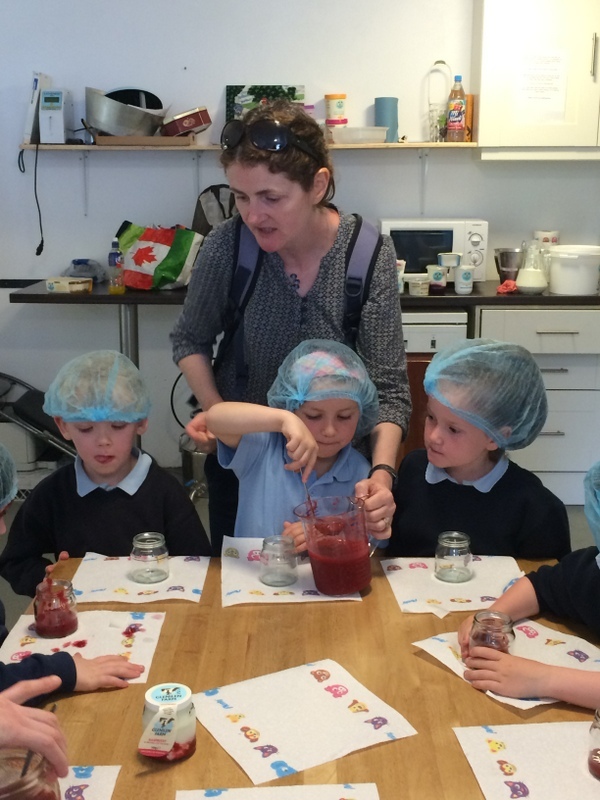 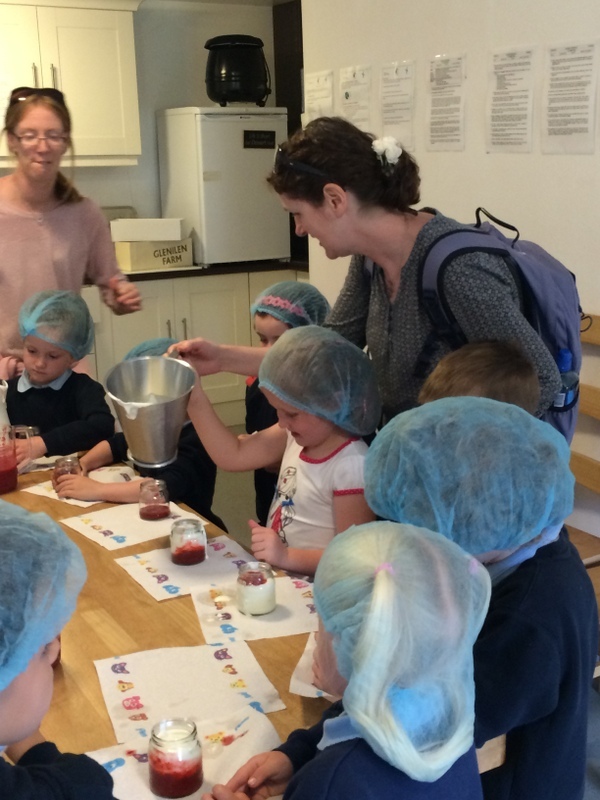 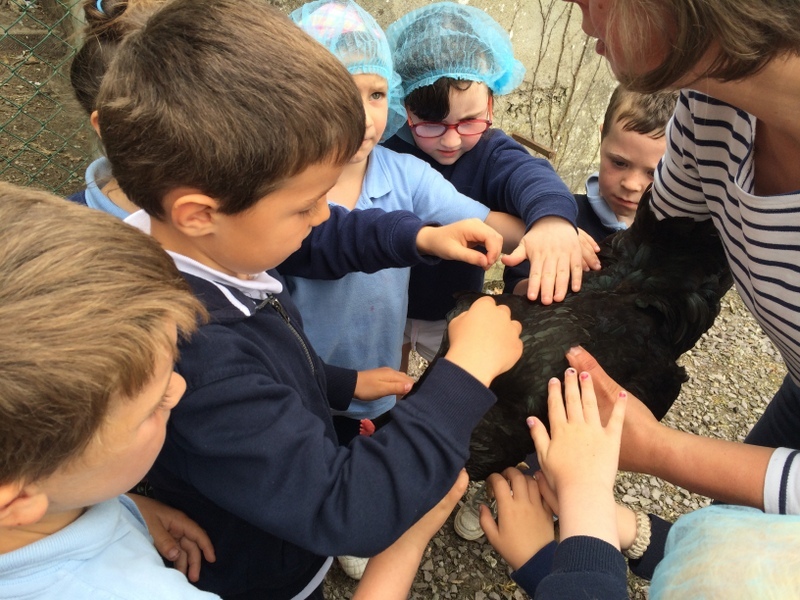 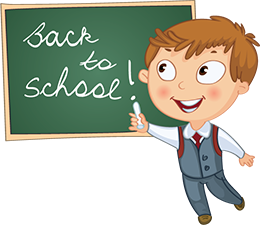 Junior Infants had a fantastic day out on their school tour to Glenilen Farm and Skibbereen Sports Centre. 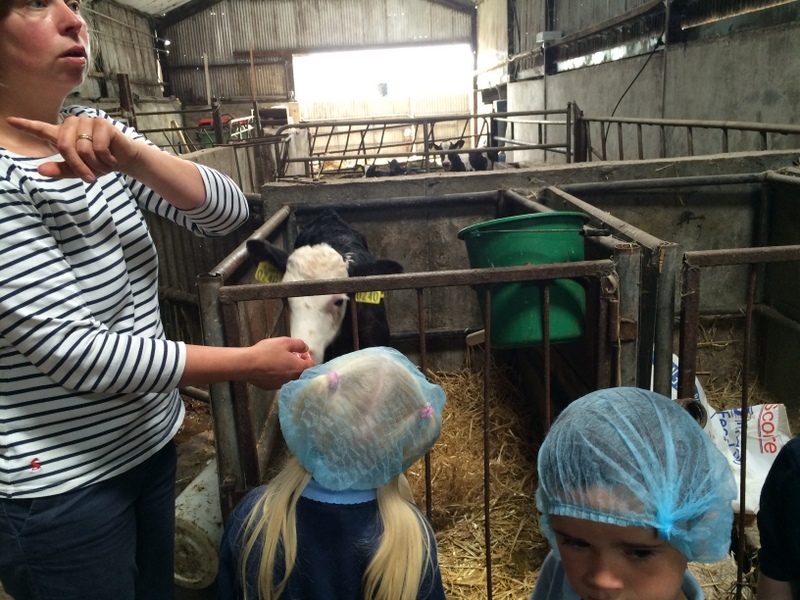 We had a fun singsong on the bus journey to Glenilen Farm in Drimoleague, which was our first port of call. 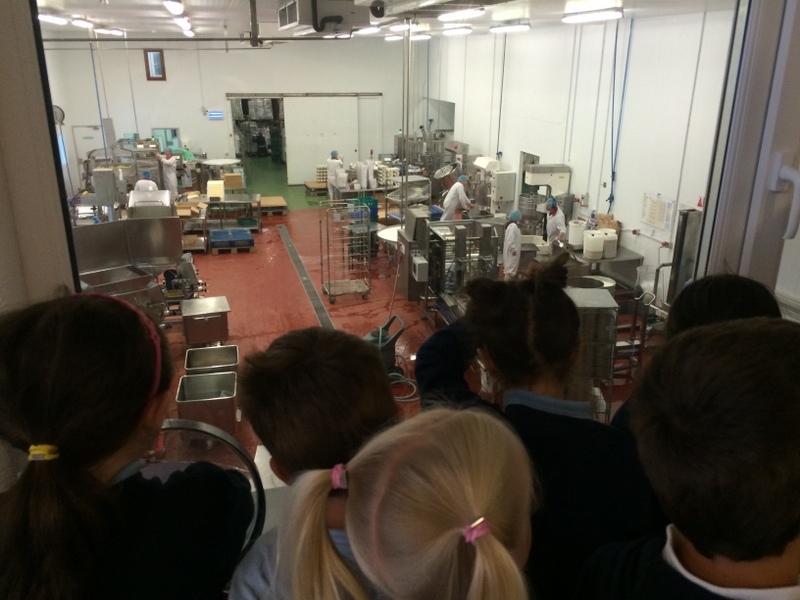 There Valerie explained how the milk from their cows is used to produce the most delicious butter, yogurts and desserts! 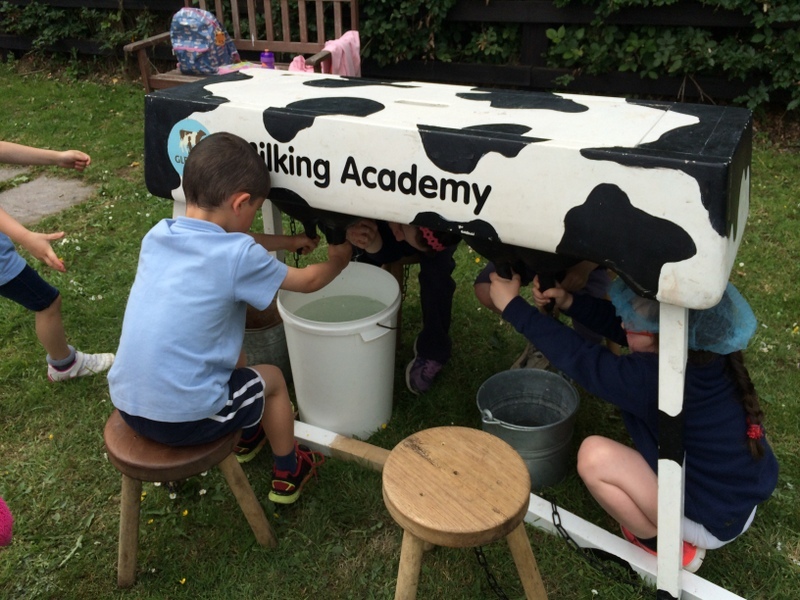 Would you believe Glenilen uses 1 million litres of milk a year! 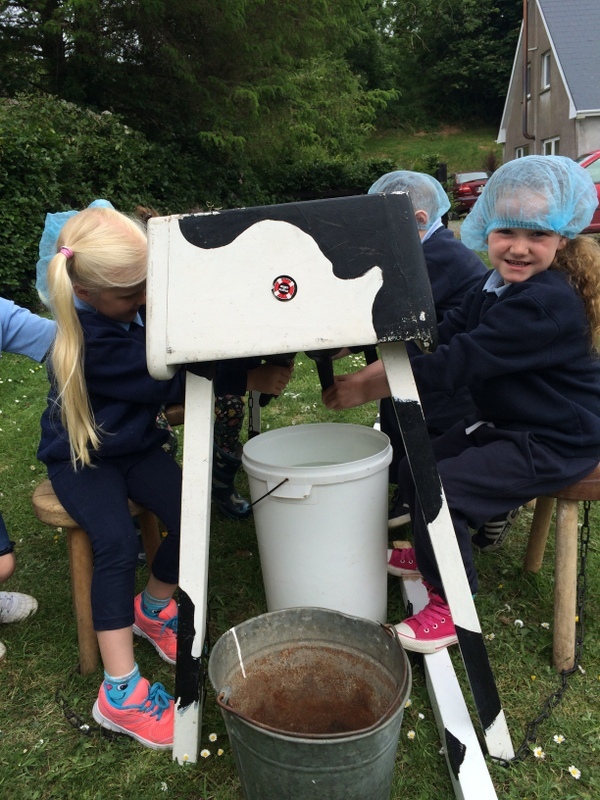 Their own herd of 55 cows produces a lot of milk but they also have to get milk from neighbouring farms so that they will have enough for all those products. 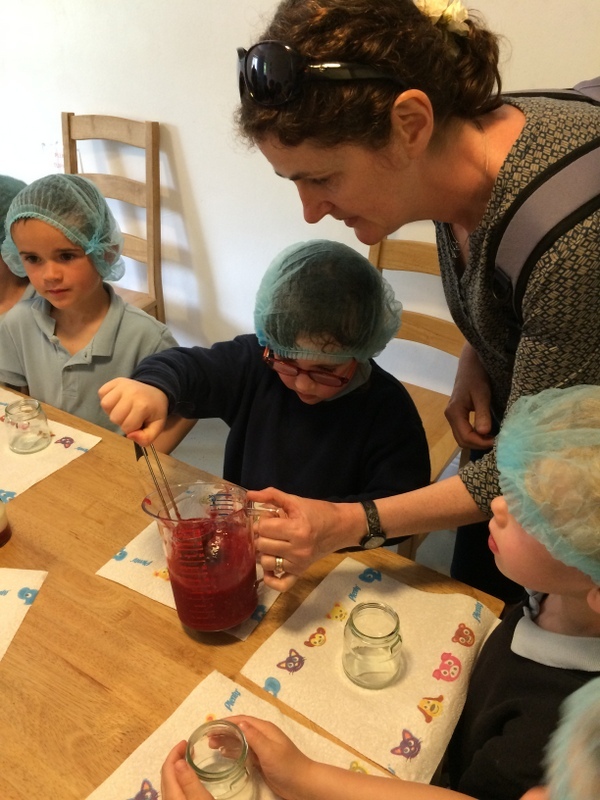 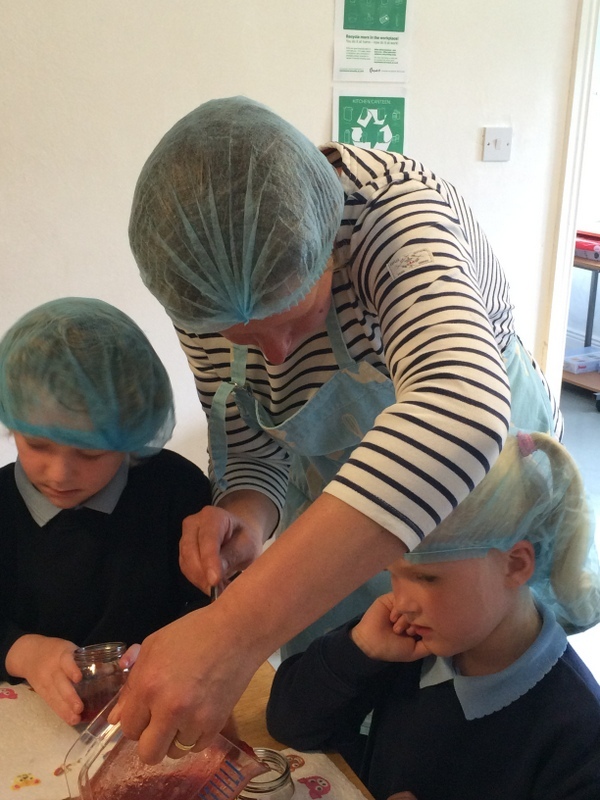 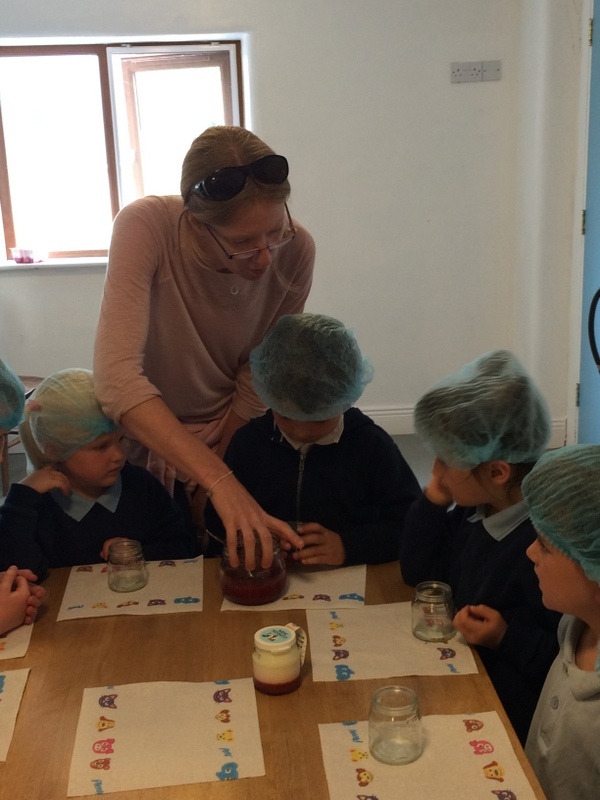 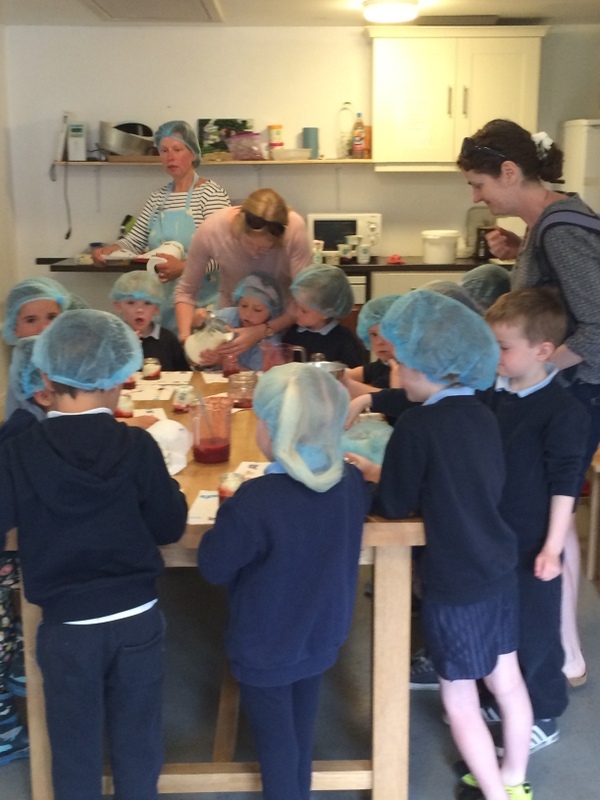 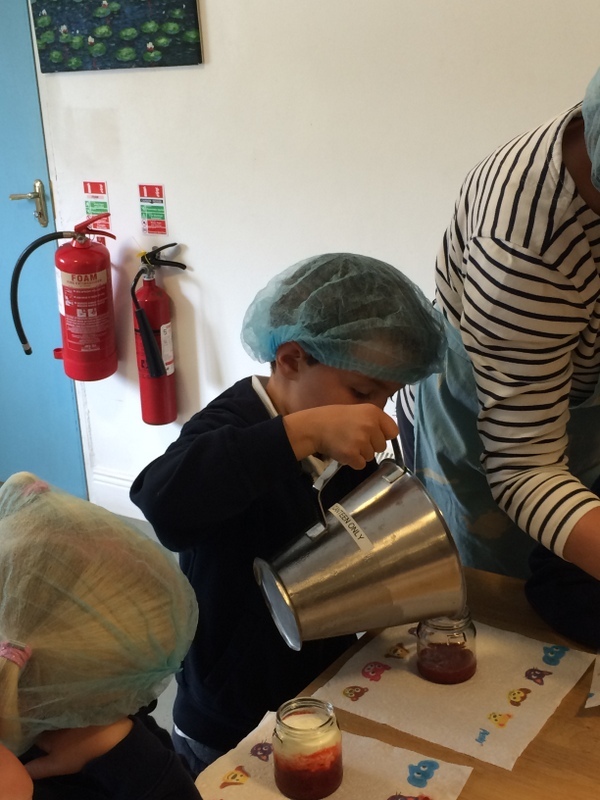 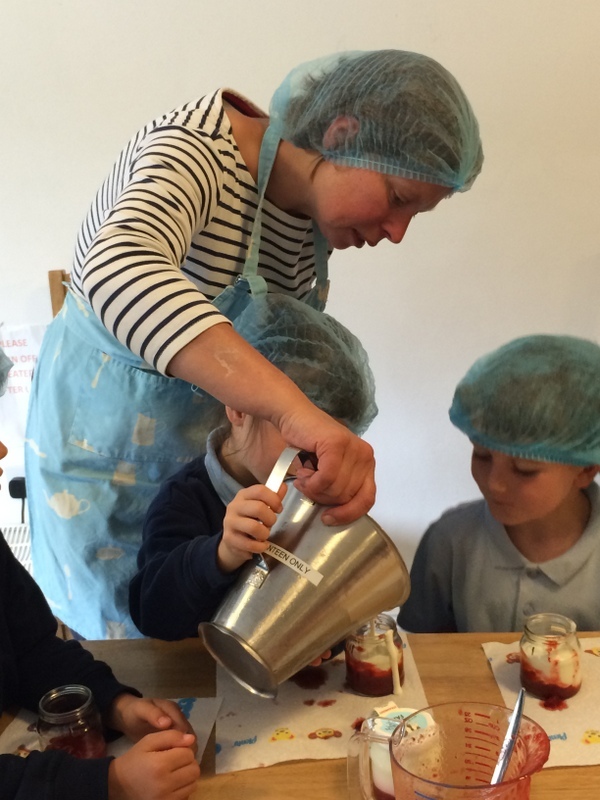 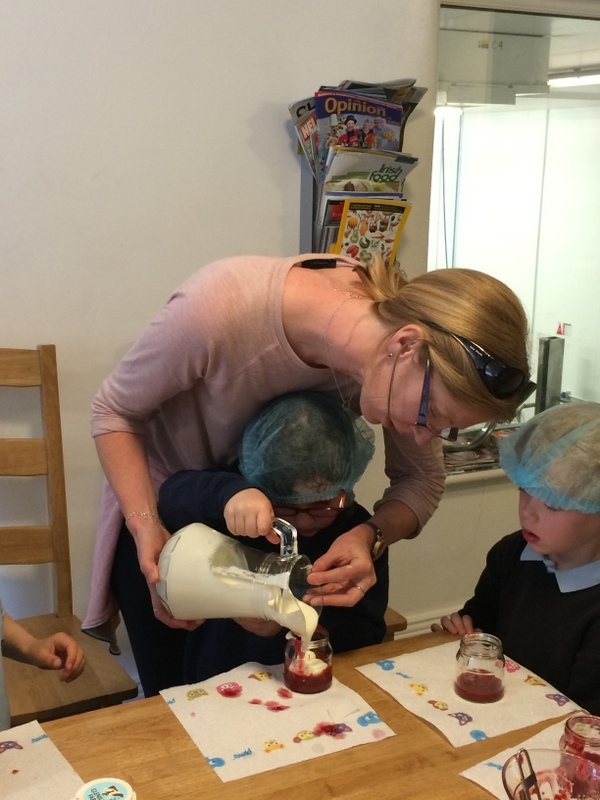 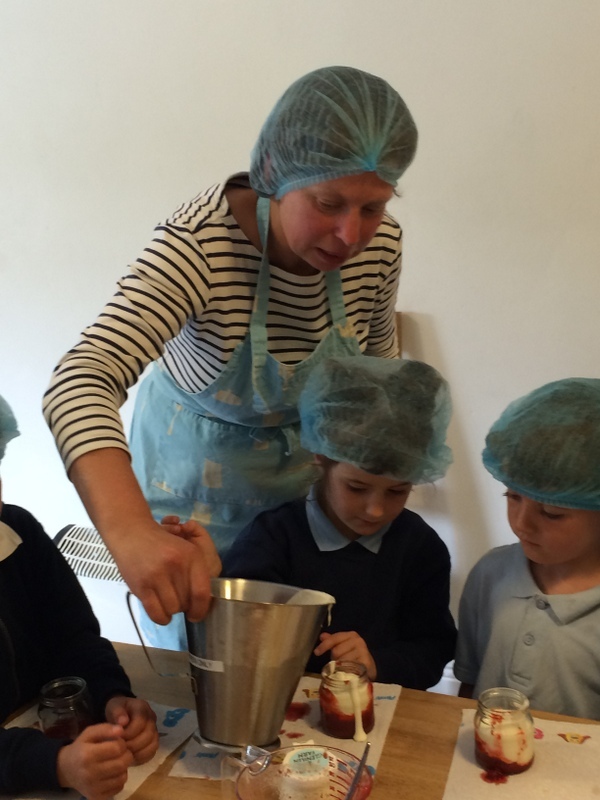 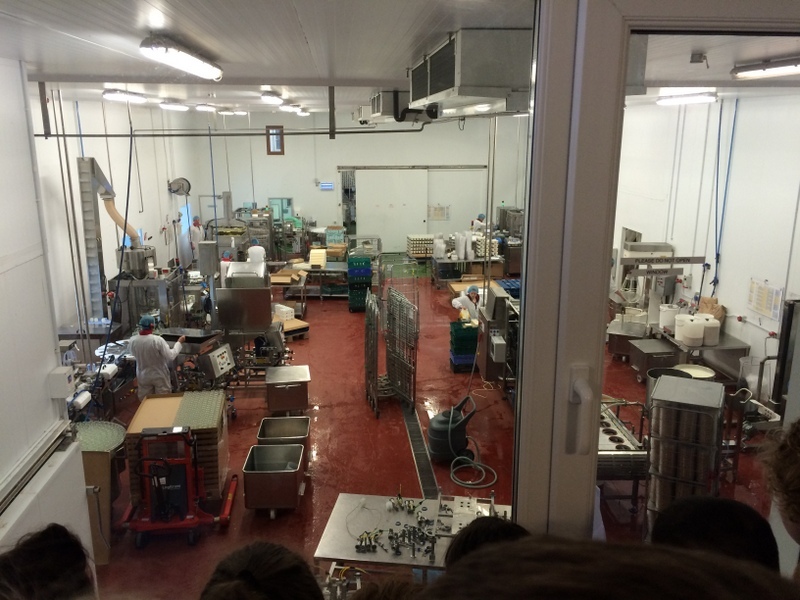 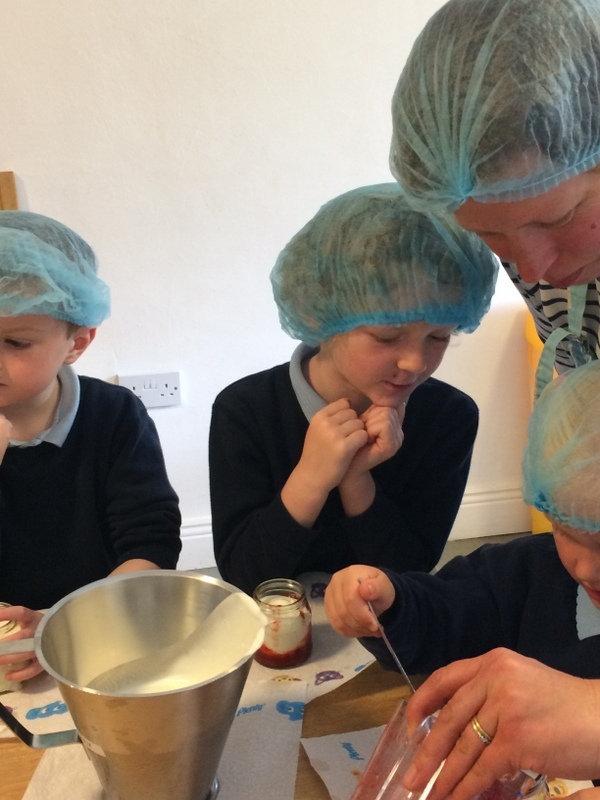 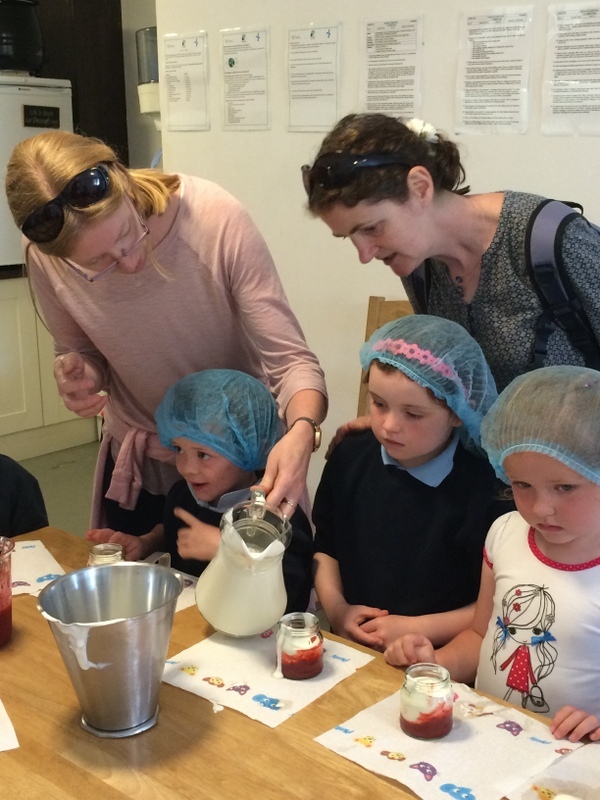 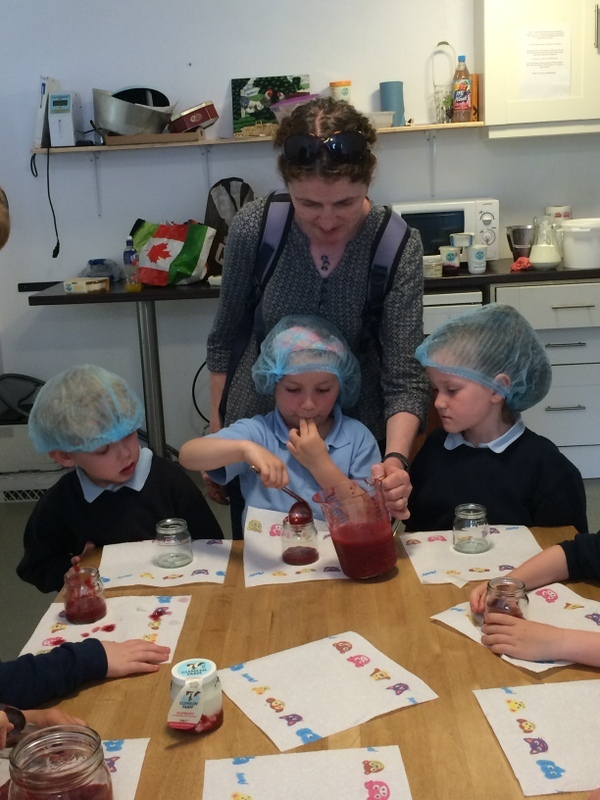 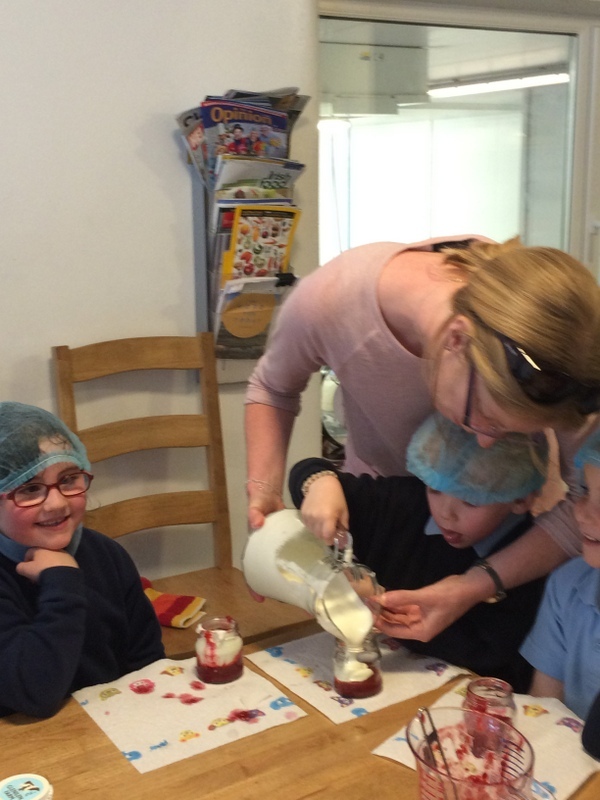 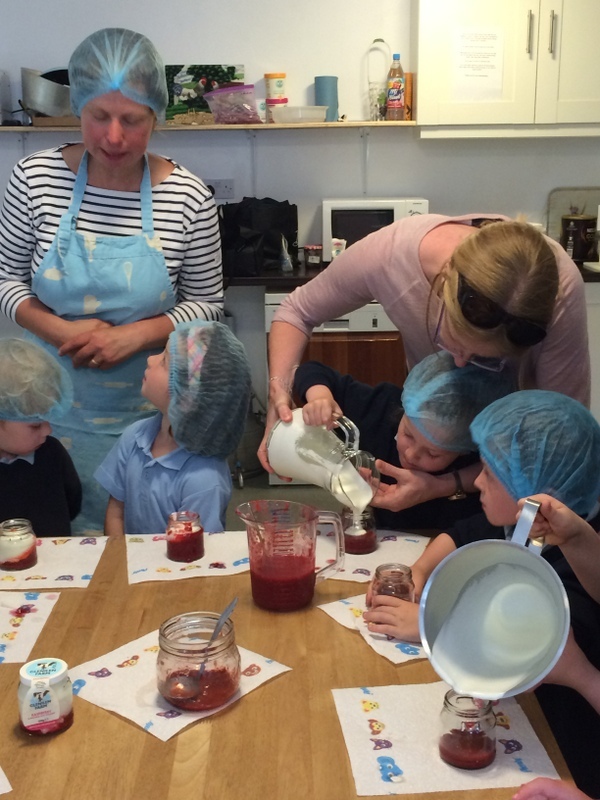 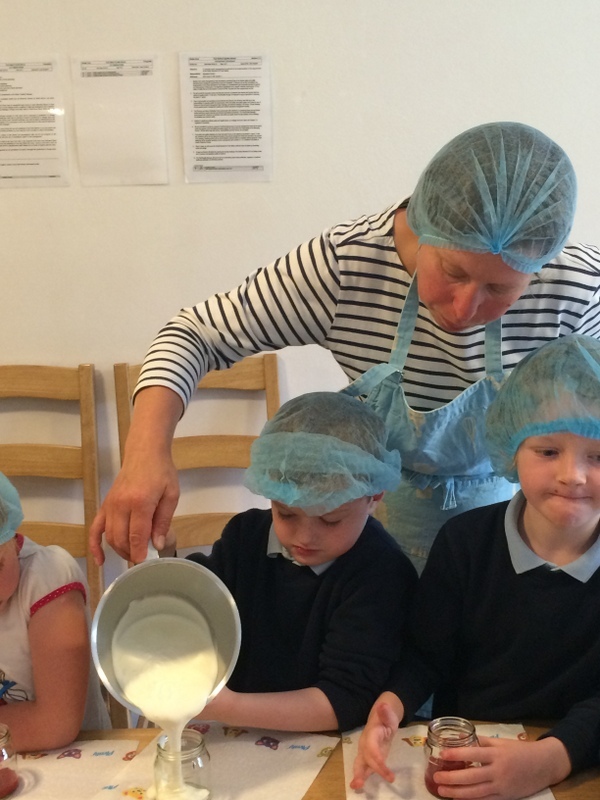 We observed the Glenilen workers making cheesecake and little pots of fruit yogurts. 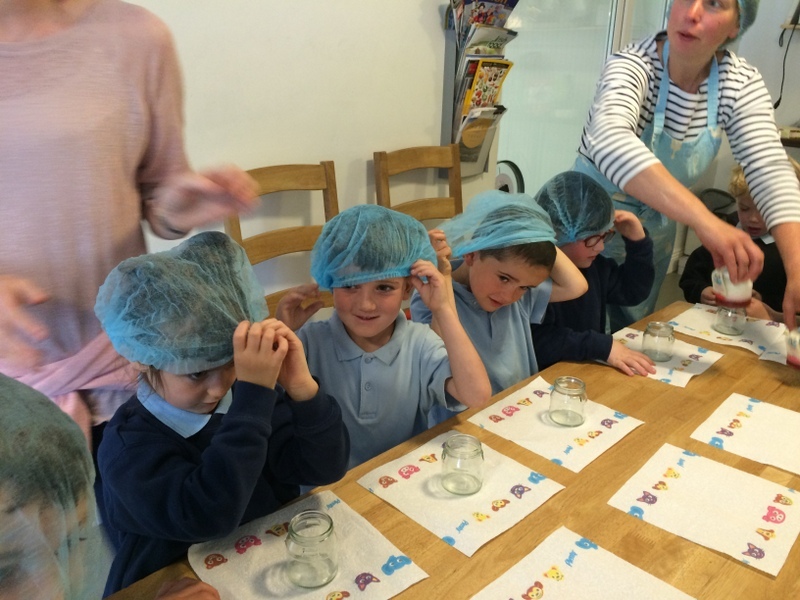 Then we got to make our own. 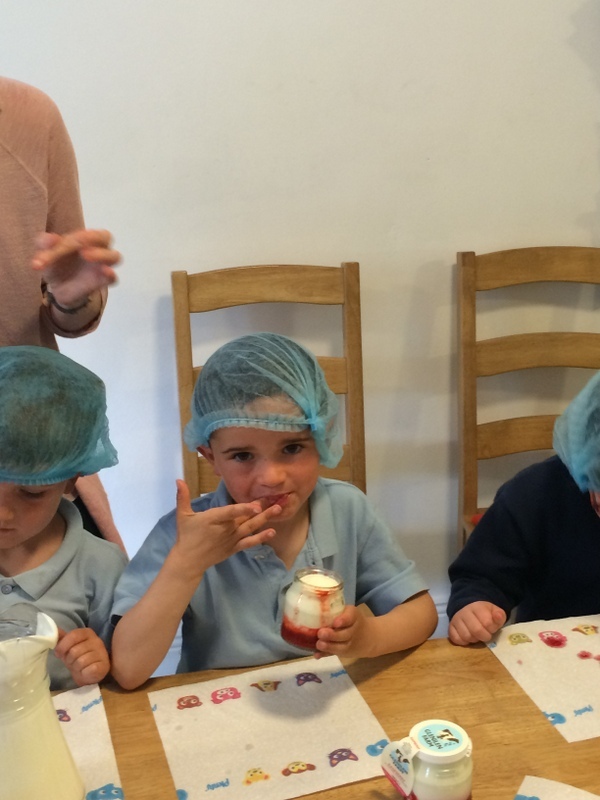 We poured stewed fruit into the bottom of little jars and topped it up with creamy yogurt, To add the final touches, we stuck on a barcode on the base and the Glenilen label! 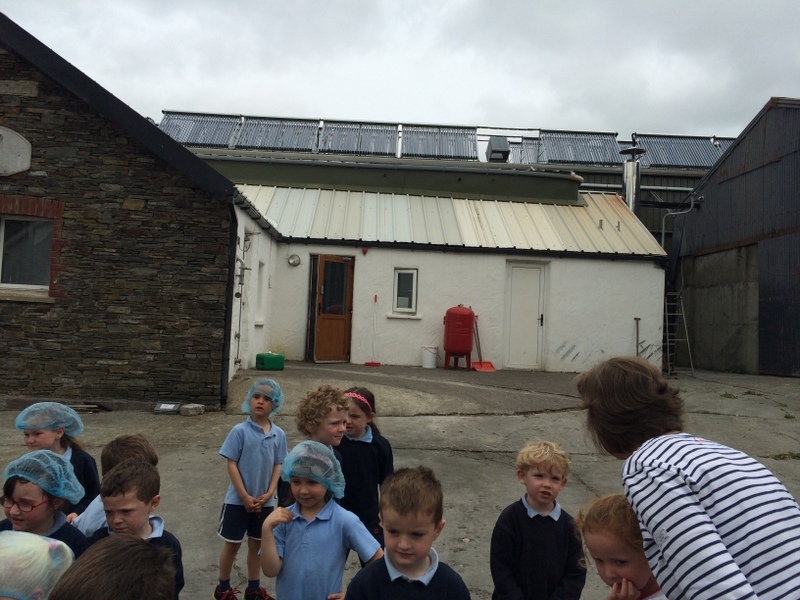 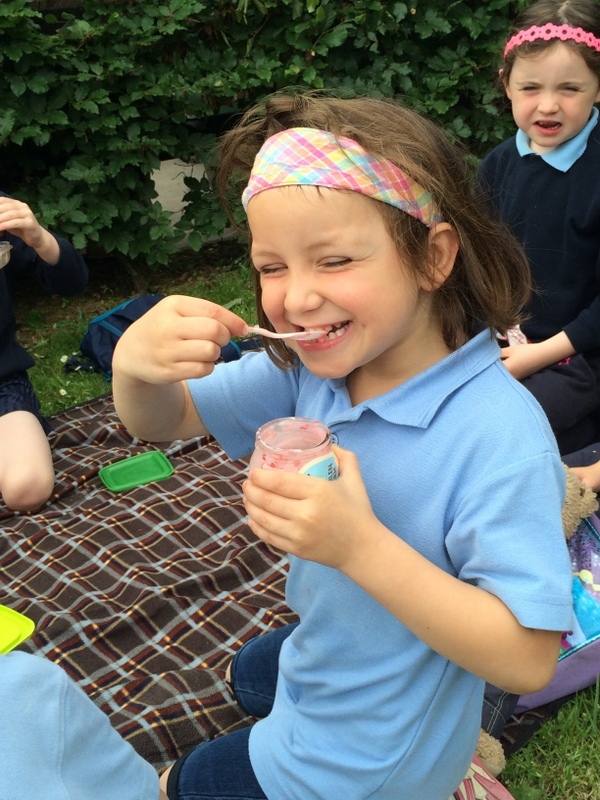 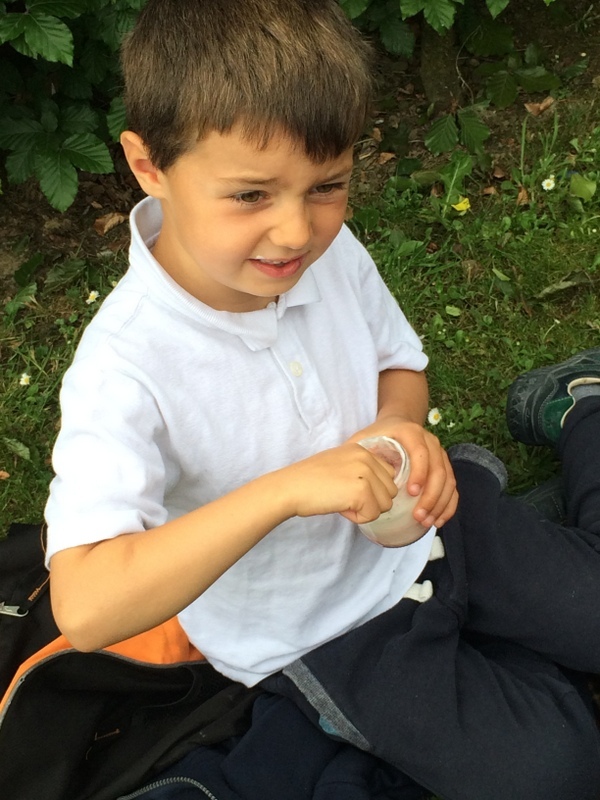 After viewing the milking parlour and the rest of the farm, we enjoyed our little yoghrts with our picnic! 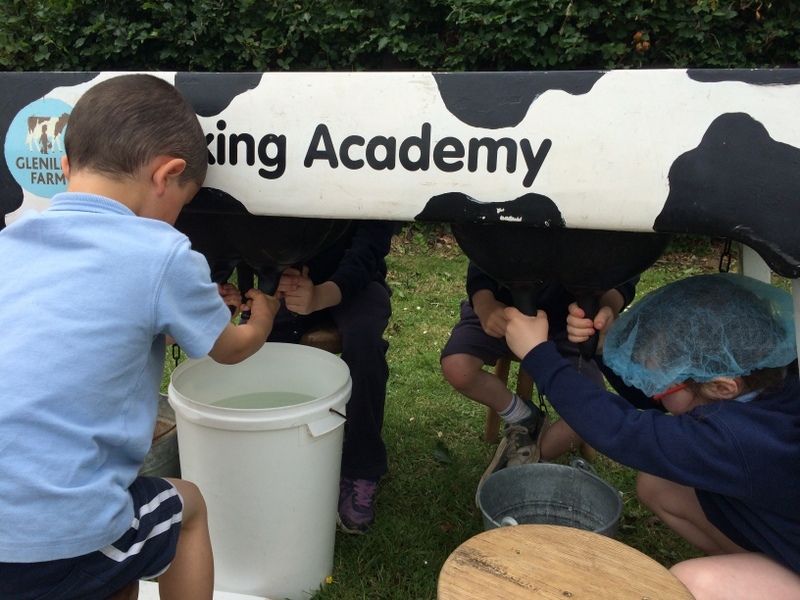 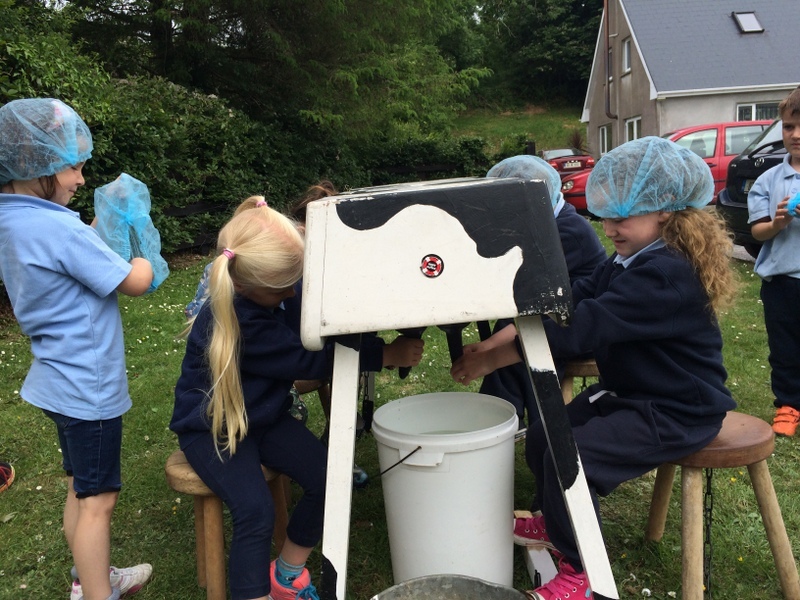 Before we left, we got to try out the fun milking machine in the picnic area! 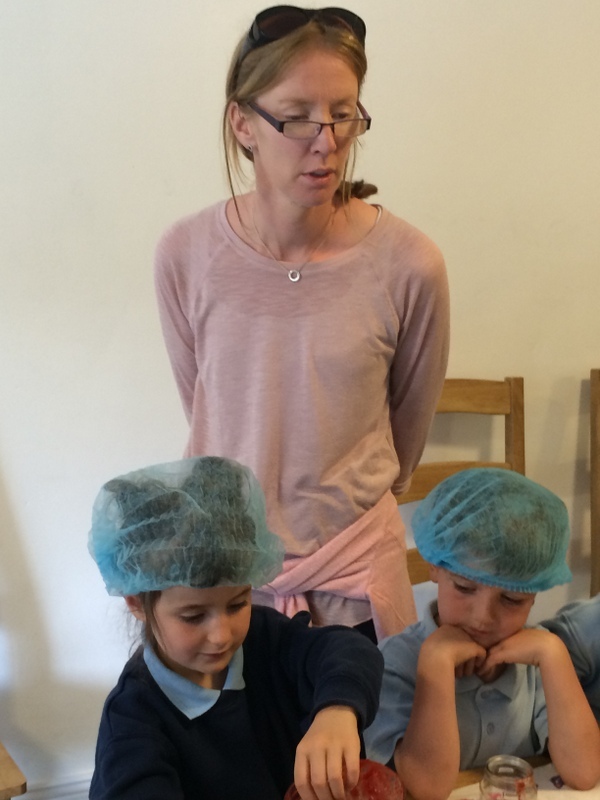 Many thanks to Valerie of Glenilen for being such a fantastic guide on the day! 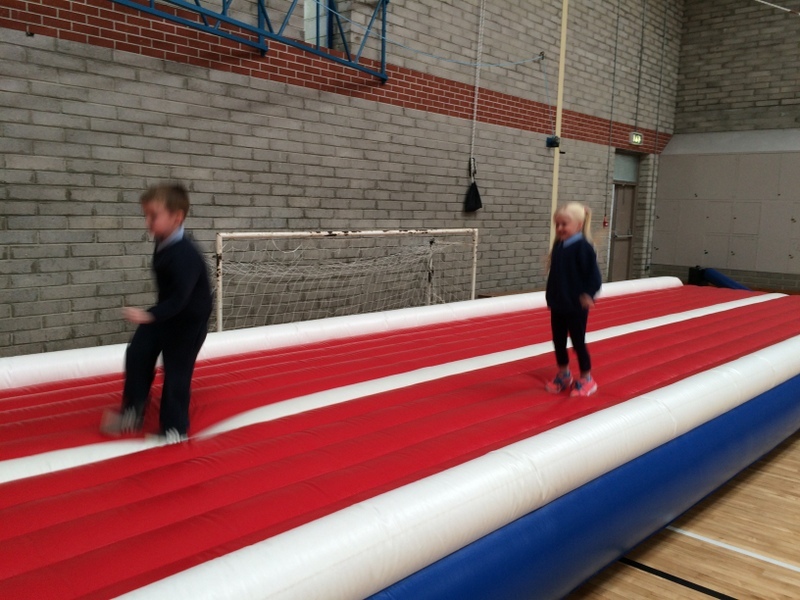 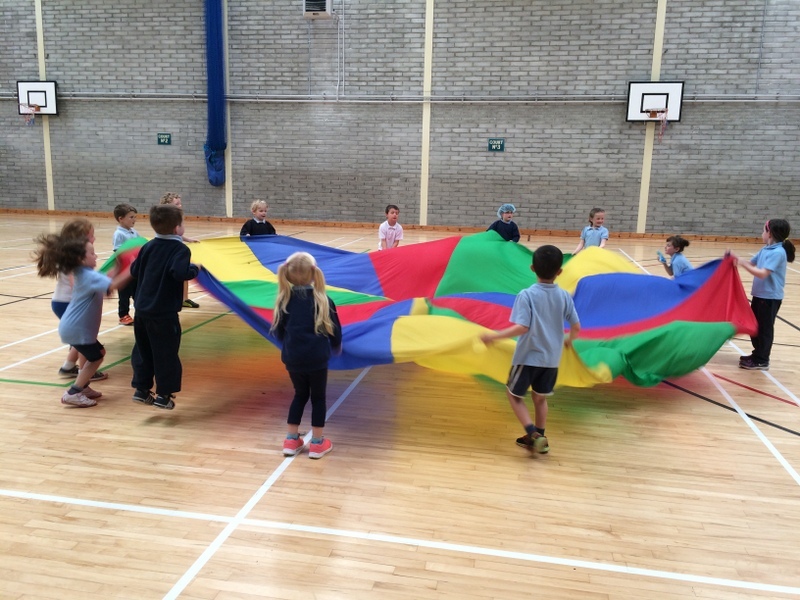 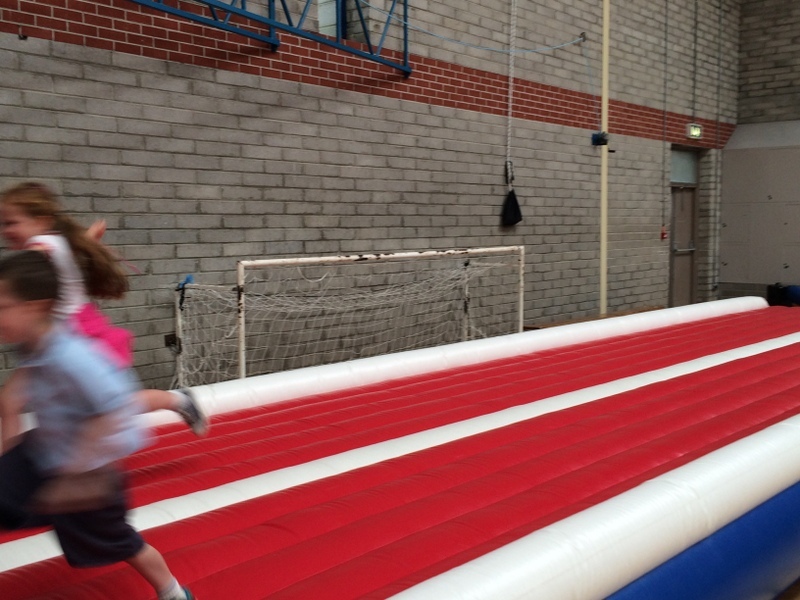 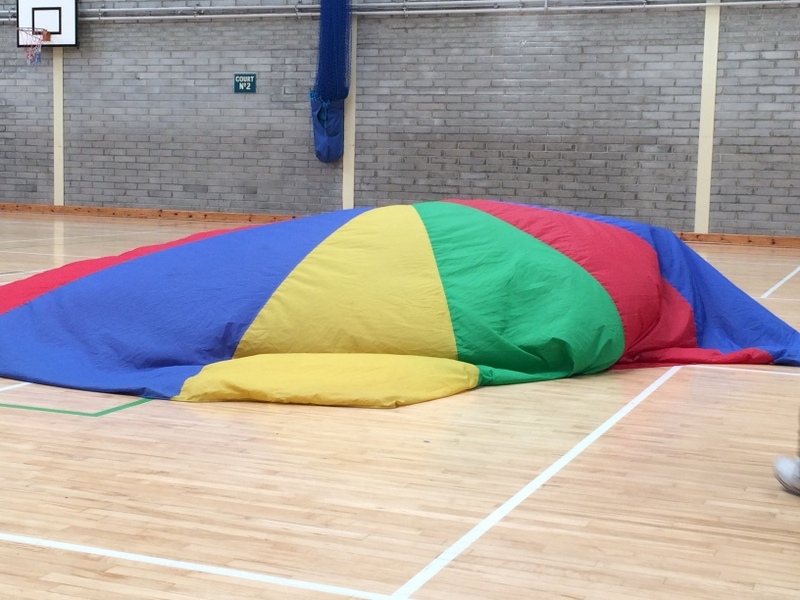 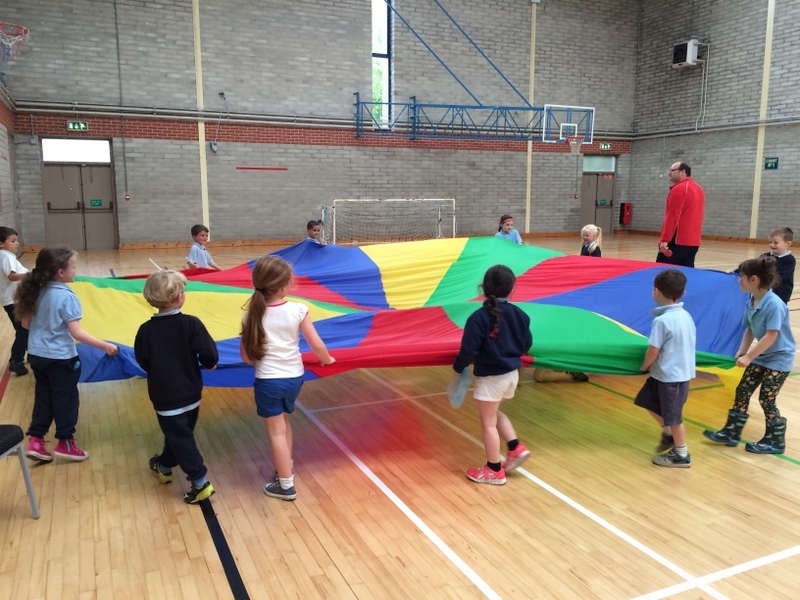 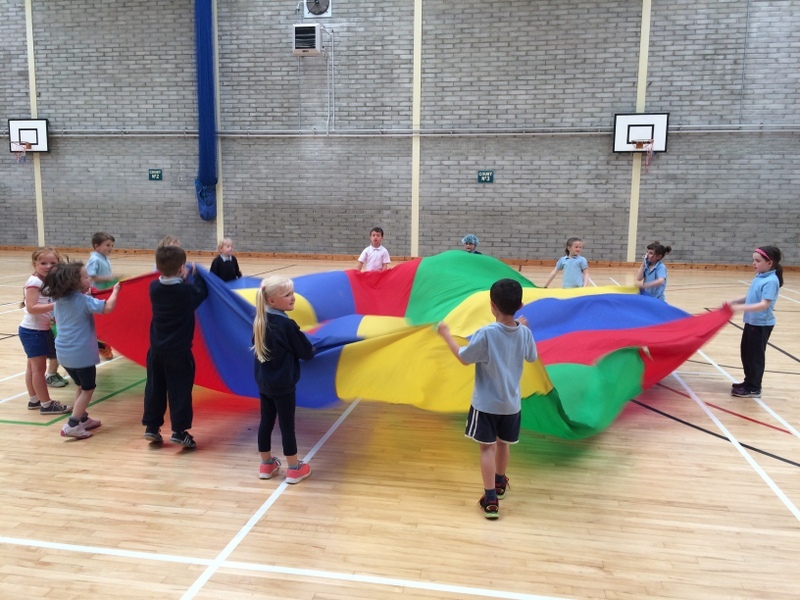 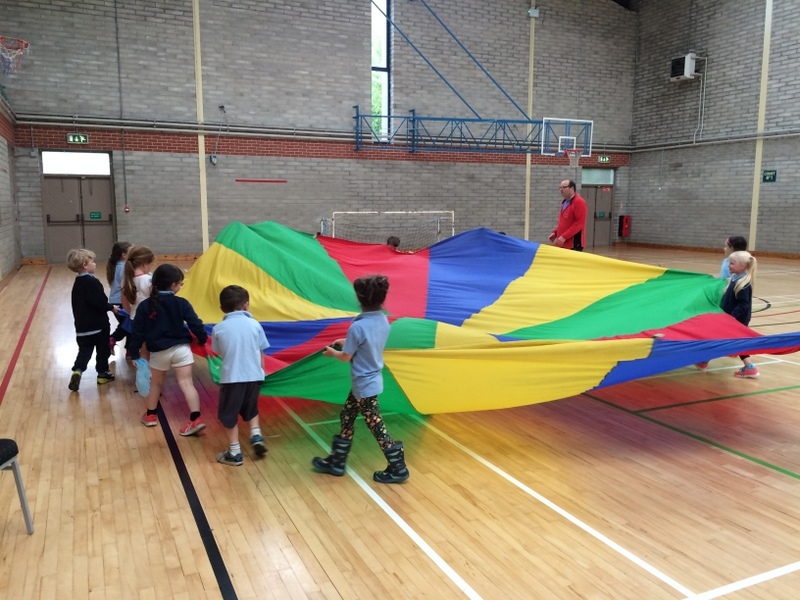 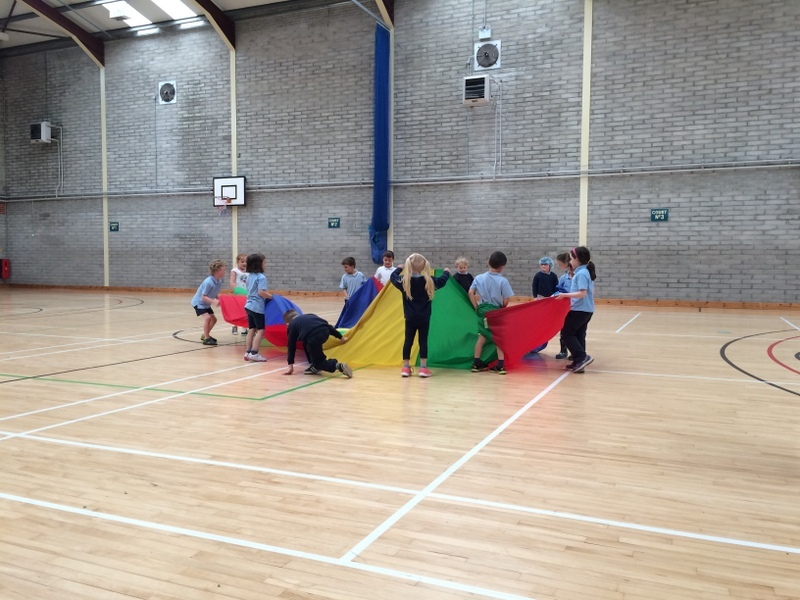 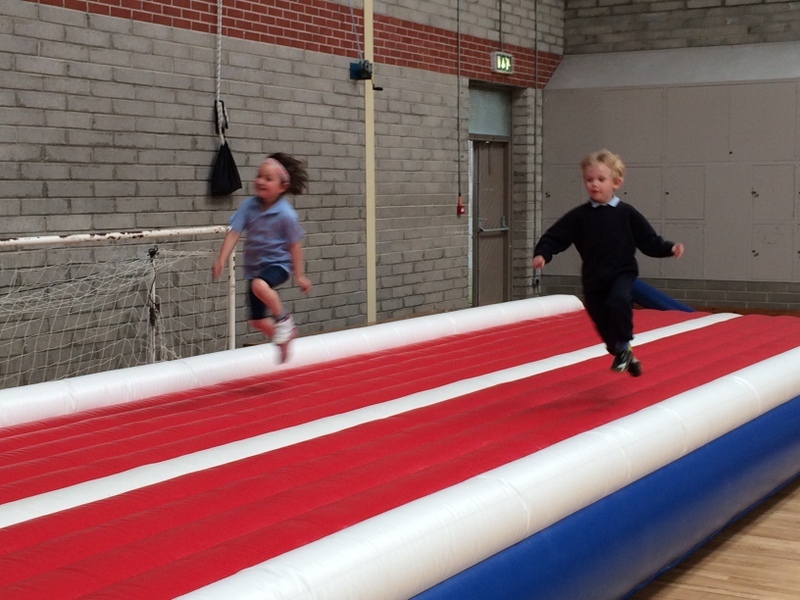 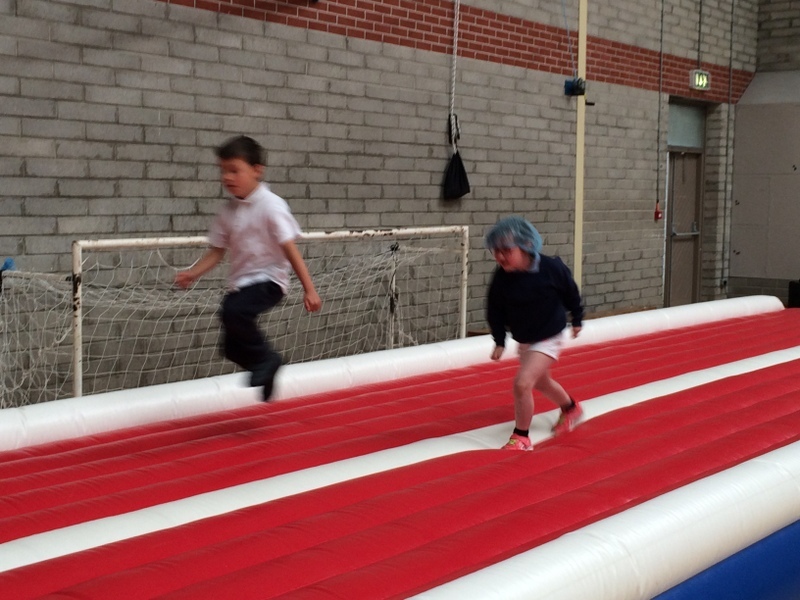 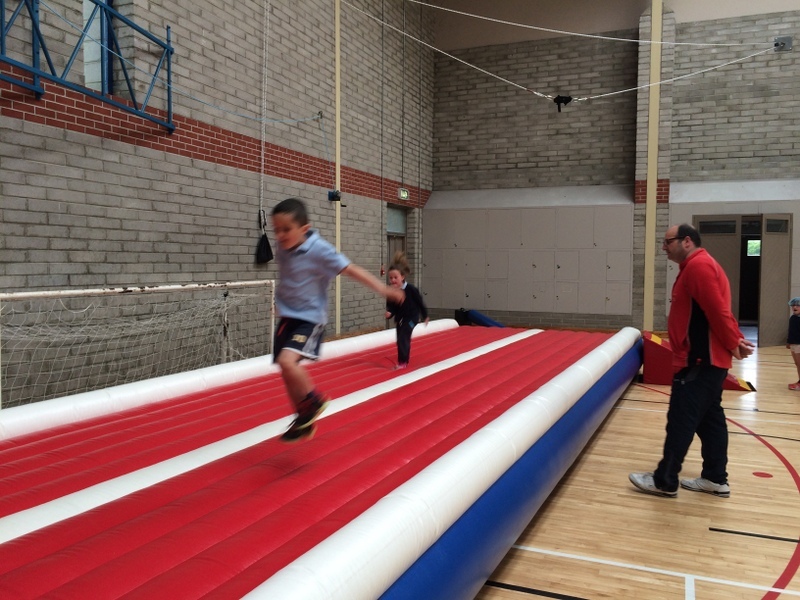 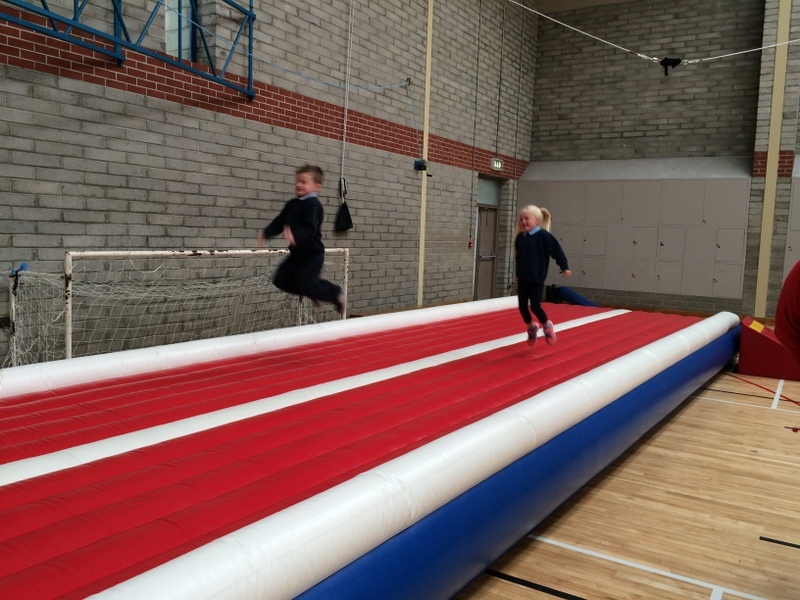 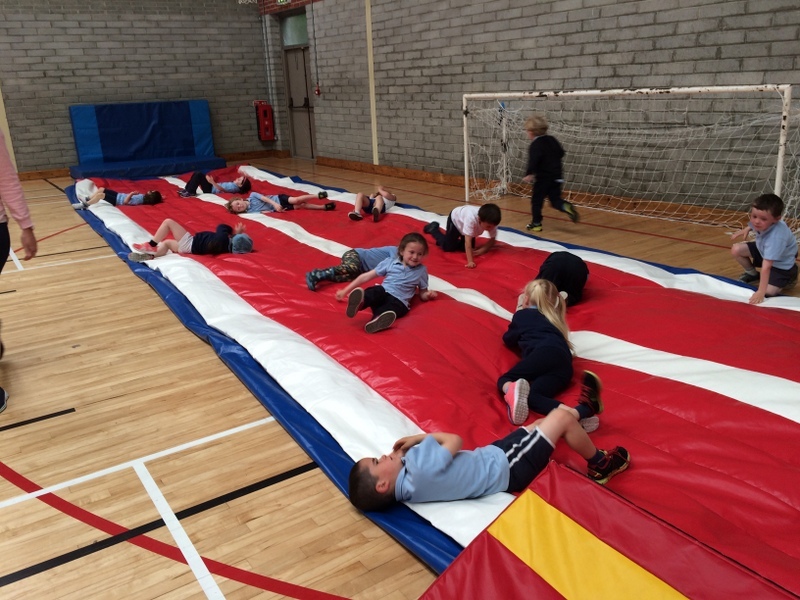 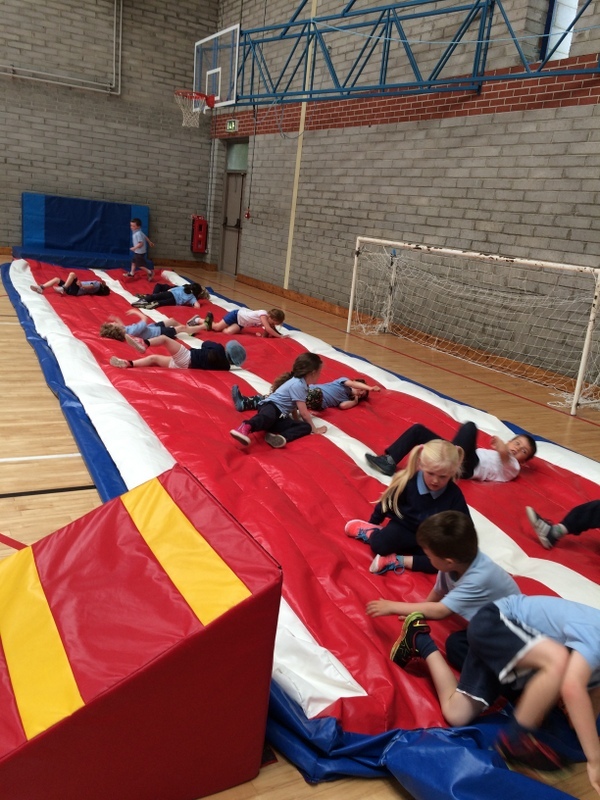 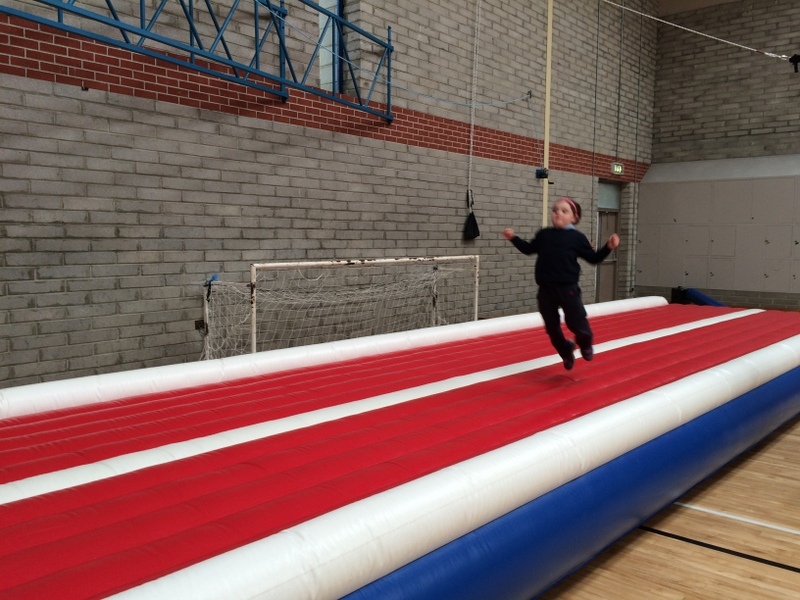 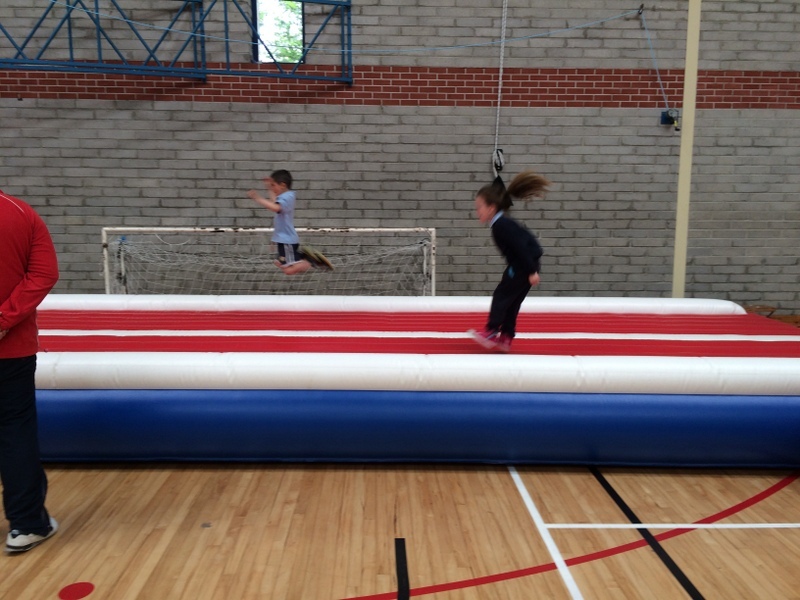 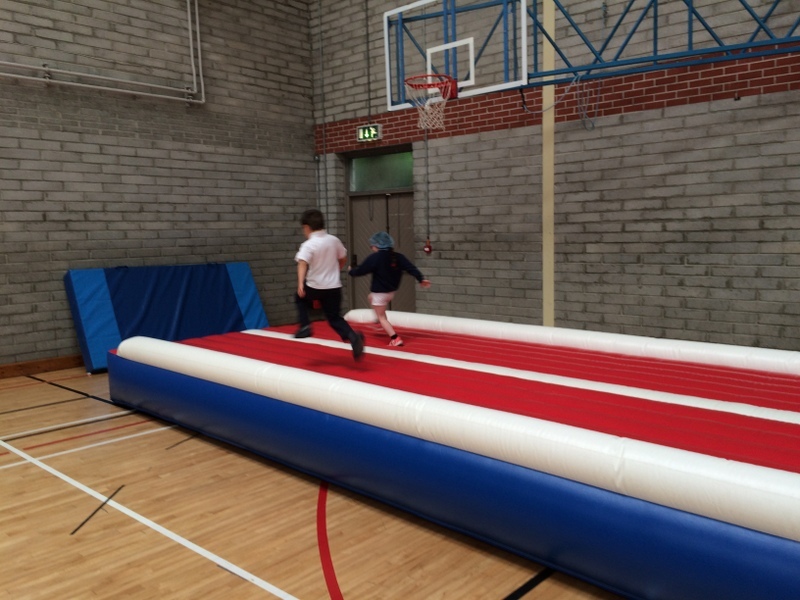 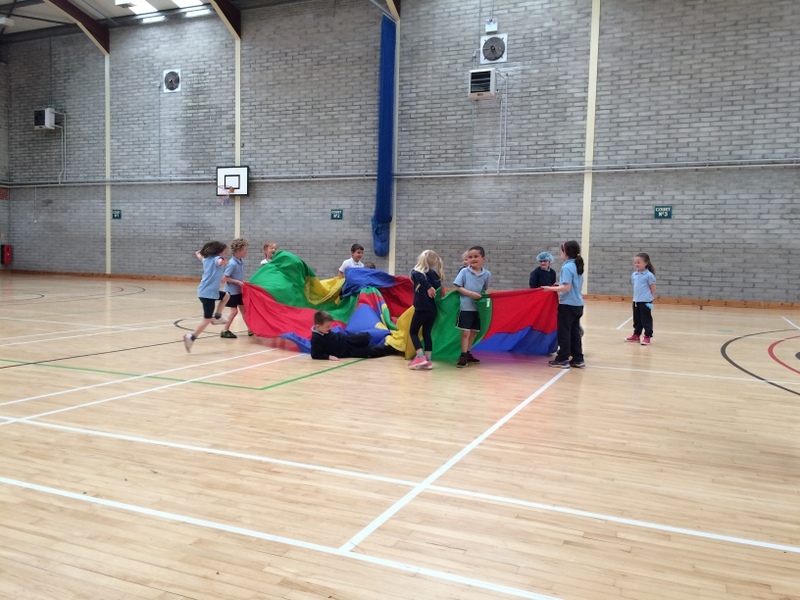 Then it was on to Skibbereen Sports Centre, where we tried out the gymnastics air track and played parachute games. 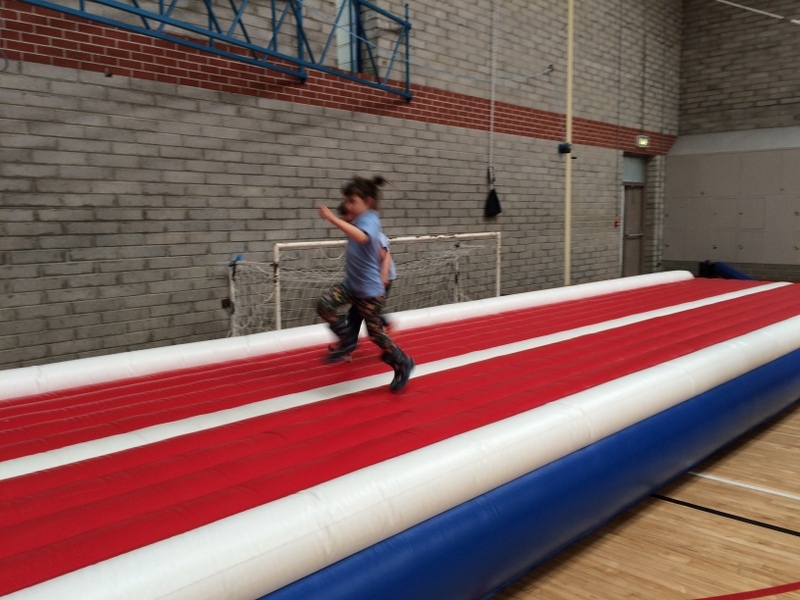 Before we left we helped to push the air out of the air track by rolling from one end to the other!